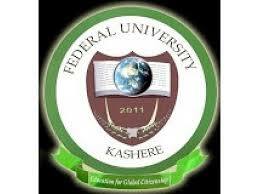 Federal University, Kashere (FUKASHERE) UTME and Direct Entry Admission List for 2018/2019 Academic Session Out and Uploaded Online. This is to inform all candidates who applied for admission into the Federal University, Kashere various degree programmes for the 2018/2019 academic session that the admission list has been released. Candidates are therefore advised to log on to fukashere.edu.ng admission portal to check their names. Successful ones are to print their admission letters and registration clearance forms online and come along with them for clearance during registration. Candidates are further advised to strictly follow the registration procedure as posted in the link above.